They gathered dust. They suffered from the heat and cold while in the garage. Or in a trailer in the garden. These less than ideal conditions put them at risk of being lost forever. 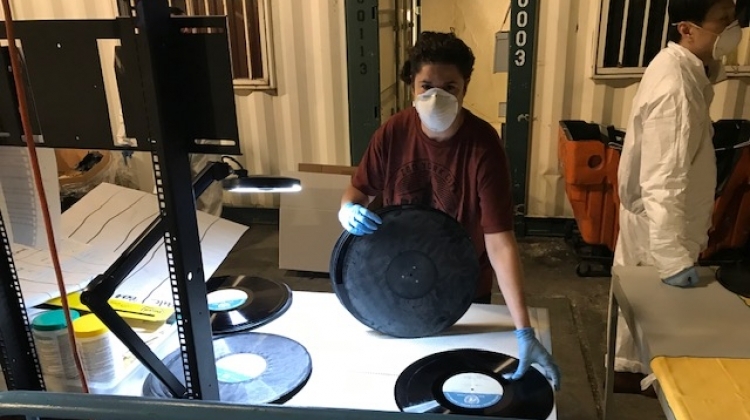 The Audiovisual Library, in the Department of Public Information, made it its mission this year to find them a proper home and save these recordings. A team of 15 people - AV specialists, information managers, staff and contractors - unpacked, cleaned, selected and inventoried thousands of items. It took seven weeks and was carried out with the support of the Facilities Management Section (Department of Management), and the Department of Security and Safety. “The project shows how much a committed and motivated team can accomplish. It was thought to be impossible,” said Hua Jiang, Director of the News and Media Division. In the end, all 37,000 records were dusted. Of these, 16,000 were appraised, selected, deep cleaned and dried. The rest were deemed duplicates, damaged or not historically valuable and were discarded. Each disc was inventoried and classified for further appraisal, selection, and digitization. 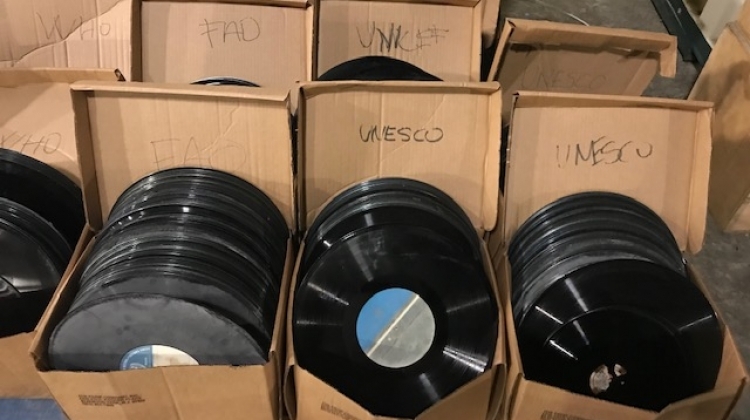 Those recordings, ranging from the 1940s to the 1970s, contain invaluable UN Radio programmes, interviews, special events, and concerts. 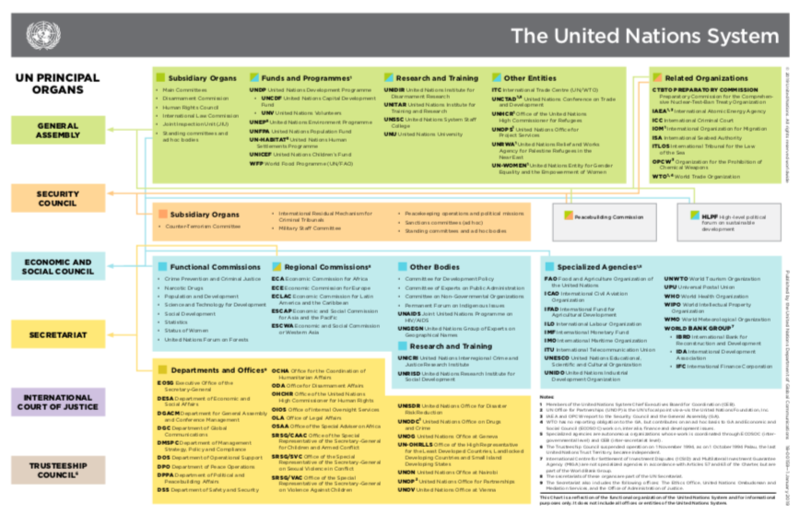 They represent content from regional offices, peacekeeping missions, UN Headquarters, and other UN entities. The disc project is part of the wider digitization of the UN collection, made possible by a donation from Oman. “It has been the most challenging, but rewarding, project that my team has worked on in many years. We are now starting to make these recordings accessible to the public,” said Antonio da Silva, Chief of the Multimedia Resources Unit. Over the years, the Audiovisual Library has played a crucial role in managing, preserving and providing access to a rich and unique collection of photographs, audio, film and video recordings about the work of the Organization. On 27 October, it is joining UNESCO in celebrating the World Day of Audiovisual Heritage, which raises awareness of the importance of audiovisual archives around the world and urges measures to preserve and make accessible this heritage for future generations. The Audiovisual Library holds over 1 million items, covering more than 70 years of the UN’s audiovisual history. Discover more by visiting our website. Video - background informaiton on the UN Audiovisual Library.